Hey Hugo! You’re Covered by Security Options! Maintain control of your home in Hugo, OK, even when you’re not home with our home automation smart systems. We’re pleased to be your trusted local dealer for security monitoring. Regardless of the size of your property or the extent of your home security, surveillance, and monitoring priorities, we’re committed to offering the right options for your needs. Our home automation smart systems use Z-Wave automation and geo-fencing technology to provide a variety of smart security and home monitoring options. While security is a common concern for homeowners in Hugo, there are many other potential uses for our automation systems. It’s technology that can be easily coupled with smart thermostats and smoke detectors to provide an added level of security, safety, and convenience. 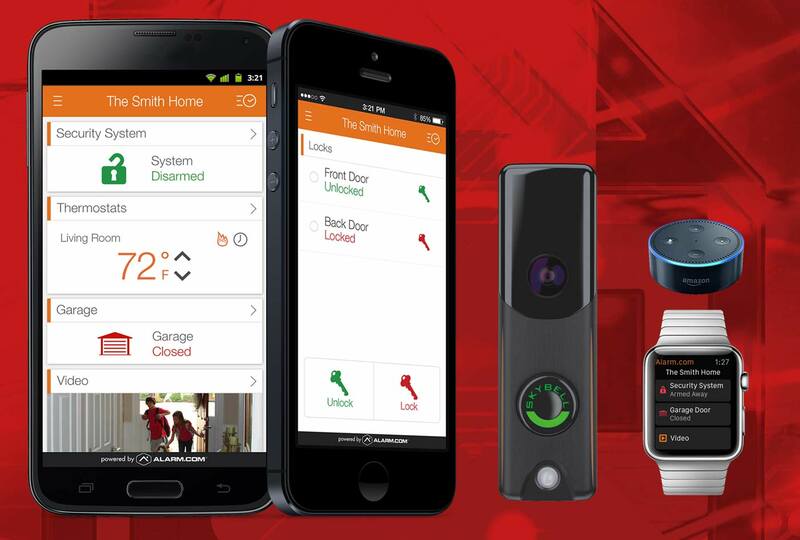 Homeowners in Hugo who opt for one of our automation systems will have access to the Alarm.com app. Accessible from any smartphone, desktop PC, laptop, or tablet, the app can be used to control any smart technology devices you may have in your home. You can even use voice prompts to control automation features in your home linked to the app. For an affordable monthly fee, you’ll enjoy professional monitoring and have access to customer support and other perks. Our systems come with a 2Gig GC2(subject to change) security and control panel with a color touchscreen interface. You won’t have to worry about the possibility of someone disabling your connection thanks to the use of cellular radio communication that eliminates the need for wires. The panel can also be used to control multiple devices throughout your home. We’re your reliable source for high-quality home automation smart systems in Hugo and surrounding communities. We look forward to providing the peace of mind you deserve. The peace of mind our security solutions often provide is on the house. Contact us today to request an estimate. Even though it is only around 5,000 people, Hugo is the county seat of Choctaw County. Named after famed french writer Victor Hugo and founded in 1901. Mural artist Joseph Fleck painted an oil-on-canvas piece, "The Red Man of Oklahoma Sees the First Stage Coach", in the U.S. post office.